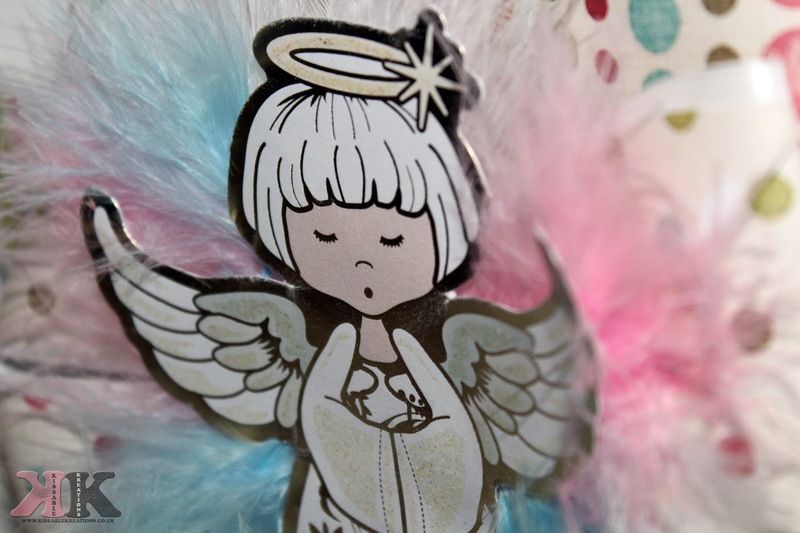 Today i am sharing a card which i made for my daughter for Christmas. I actually made her two cards, One being a rocker card which was a polar bare with a Christmas hat on but unfortunately i have stored that with the Christmas decorations and lost the pictures i took of it. I admit this card was a pain to put together. Id recently purchased a bow card template from offline. When i received it, I printed it out and noticed straight away that it wasnt symmetrical. Some of the sides looked free hand and didnt look right at all. I complained as this was supposed to be a professional template but was unusable to me. My partner then made one for me. He is a graphics designer and takes pride in everything he designs so after a little but of tweaking the template was perfect. *I printed and put the template together which was the most difficult part of the card. I had to free hand cut every single template and make sure i didnt get any of it didnt get mixed up. 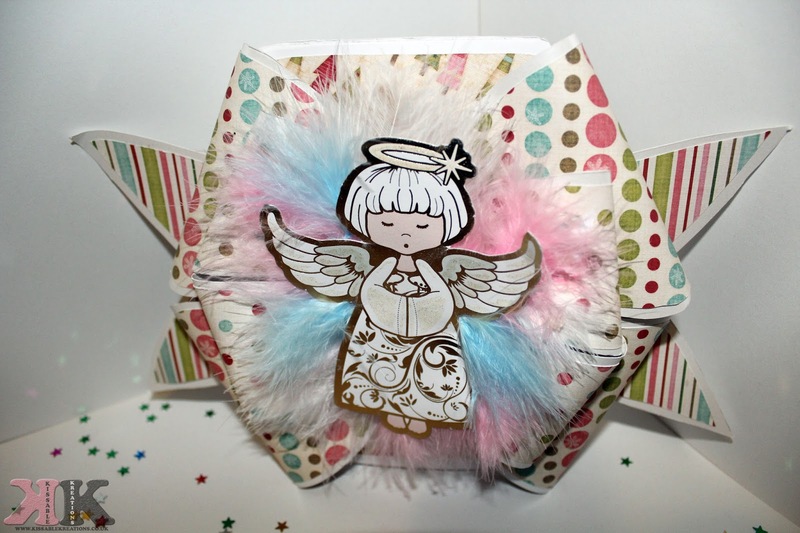 *I then glued on the feathers in a circle and glued an angel topper on the top of the feathers and the card was finished. Im really pleased how this card turned out. Its so feminine and my little girl loved it. Whats your favourite chistmas day activity? Have an amazing crafty day. What a gorgeous card. I've never made Christmas cards before but it looks amazing! I love this idea of making Christmas cards with your daughter. On the morning of Christmas day we love to make pancakes! Such a beautiful card, I love your creative ideas! It may have been a pain to make but it was worth it as it's gorgeous!